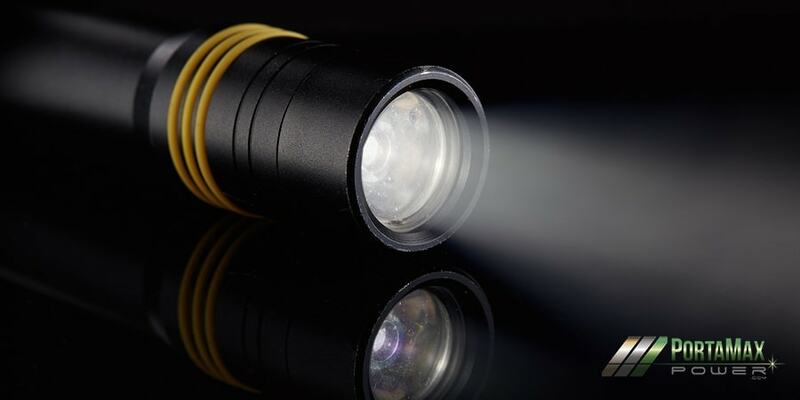 Are you Prepared for a Long-Term Power Outage? We all need to be prepared in the case of an emergency. Natural disasters, terrorist attacks, cyber warfare, and other threats have made our power grid increasingly unstable. A prime example is the hurricane that recently ravaged Puerto Rico. Months later, the majority of the island is still without power. And officials say that it could be several more months before the power is fully restored. So what if a Puerto Rico scenario happened on the Mainland? What would you do if you were without power for weeks or months at a time? If you are in a single-family house with some land and you have tens of thousands to spend, you could install a backup generator powered by wind, solar, or fossil fuels. Depending on the reliability of the unit, you may be able to get through the crisis. For most of us, however, full-sized backup generators are not an option. They are very expensive, and many residents live in apartments, condos, townhomes, and other types of shared residences where they are not allowed to install this type of unit. Sustainable Power for Small Spaces? If you need backup power and you live in a small space and/or shared community, you will need something that is portable. You could get one of those generic gas-powered generators, but you might run into problems if you ever have to use it. Gas generators are typically very noisy, and they put dirty fumes out into the atmosphere. This makes them a non-starter in many of these communities. Gas generator manufacturers like Honda and Yamaha have tried to address this problem in recent years by coming out with quieter and cleaner burning models. You could get one of those new and improved gas-powered Yamaha or Honda generators – and maybe your community would allow its use outside (still not likely) – but you still have to keep it fueled for the power to stay on. What happens when your storage tank is empty and all the local gas stations are dry? Or what if your gas station is out of power? The gas pumps are electric too! Your clean and quiet generator – one that you forked out a few thousand dollars for – suddenly becomes no more useful than a screen door on a submarine. Most other portable solar-powered generators on the market aren’t much better. They usually have significantly lower output wattage than gas generators, and cannot reliably power essential electronics like the refrigerator. Another common problem is the battery itself. Most manufacturers use lead acid batteries that will only hold a charge for half a day or so while in use. On top of that, the solar panels they use typically take several days – under ideal conditions – to recharge the battery. This means in a typical disaster scenario, after the first day, you will be waiting at least a week or longer before you have enough power again. The Solar Sentinel 2400 also comes with a 24v 100ah LiFePO4 battery, made with the finest technology available today. The LiFePO4 battery is powerful, lightweight, and guaranteed to run at least 2,000 life cycles. The LiFePO4 battery will hold a charge much longer than the cheaper lithium or led-acid batteries, and it will last for several decades with regular use. What really sets the Solar Sentinel 2400 apart is its solar charging capability. Using state-of-the-art 330-watt solar panels (it is recommended that you use three panels for a total of 990 watts under most circumstances), the powerful LiFePO4 battery will be recharged before lunch time on a sunny day, and on most cloudy days, you will have it fully charged by the end of the day. And the best part is – this charging happens while you are still using the generator to power your essential electronics. The ability to plug in most electronic appliances and devices and run them all day, while recharging the battery, makes the Solar Sentinel 2400 the only truly SUSTAINABLE solar generator on the market today. Setup is brain-dead simple, there is very little maintenance required, and you don’t have to depend on the gas station being open to keep it running. 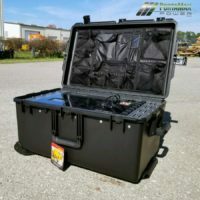 If you need a portable source of unlimited power for a long-term crisis, the Solar Sentinel 2400 provides the power you need, when you need it. next post: Gas Generators and Solar Generators: Two Sides of the Same Coin?